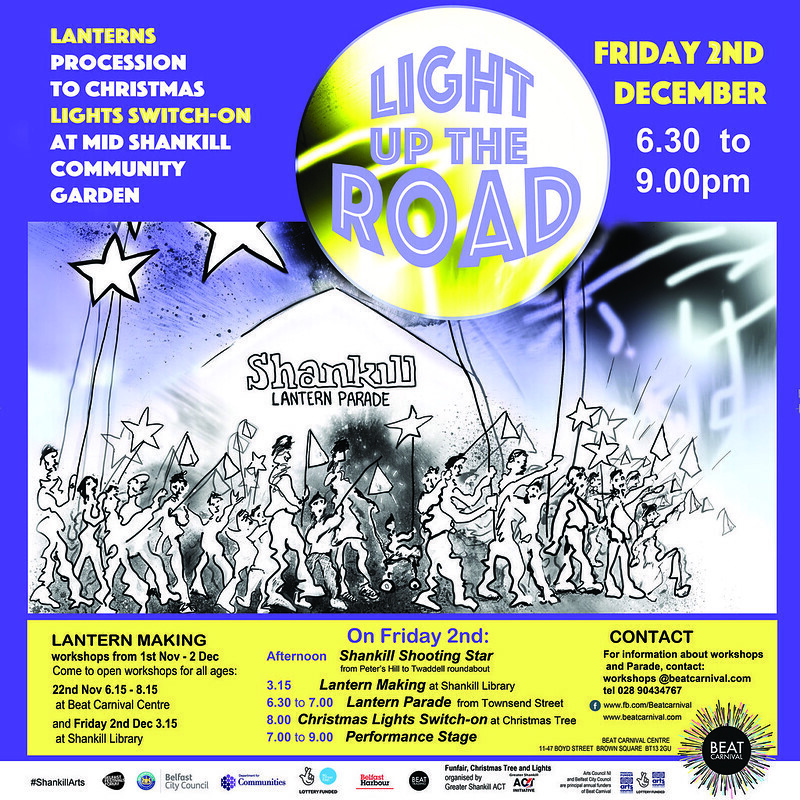 Participation in workshops gives your group the chance to show off your Christmas spirit in the Lantern Parade on Friday 2nd December 2016. The parade will start from Lower Shankill, 6.30pm at Townsend Street and meet the Christmas Tree Light switch-on at the Mid Shankill Community Garden for a finalé performance. Contact Rebecca Boyd to take part and for more details about the programme. A link from the archives: click here for the archive page of the first Lantern Parade, 2003 that Beat produced.